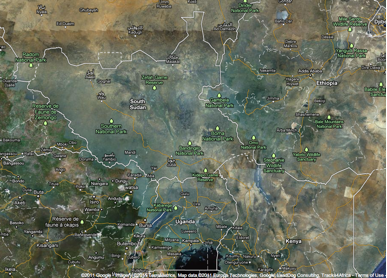 Following the Republic of South Sudan's recognition as the UN's 193rd Member State, we have updated Google Maps and Google Earth to reflect the new country borders. Google -- along with the World Bank, UNOSAT, and RCMRD-- is also helping to create better maps of South Sudan by supporting communities who map schools, hospitals, roads, and more with Google Map Maker. The events kicked off in late April at the World Bank Headquarters in Washington, D.C., and a satellite event in Nairobi at the same time. The most recent of several organized community mapping events was hosted on September 7th by the South Sudan National Bureau of Statistics in Juba. Information Minister Dr. Barnaba Marial Benjamin indicated that such mapping efforts help bring together South Sudanese from all over the world. The events provide them with new ways to share knowledge and experiences. Let’s continue mapping South Sudan and stay connected via our Sudan-specific email discussions.